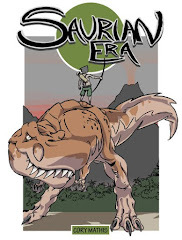 Saurian Era is a dinosaur inspired fantasy adventure following characters as they navigate and explore a world where ancient beasts and man collide. 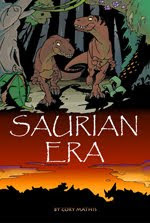 From dinosaur racing, to epic arena show-downs, a primeval, medieval-samurai dinosaur-riding mash-up with a menagerie of characters trying to stay ahead or at least keep their dinosaurs fed long enough to make a quick buck. Had big plans for the next comic to be done for Armageddon Expo this April - I even swore off the new Mass Effect game in order to get it done. 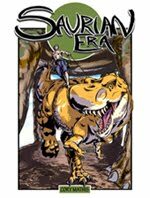 It will be bringing the past two comics together in one and bringing in some new characters - including the Raptor riding lass I posted below. 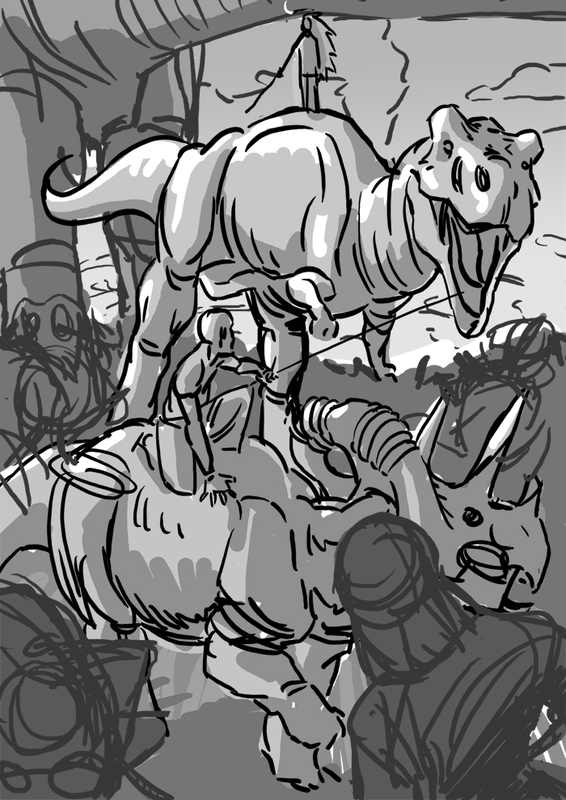 However, I really want to nail this next one. 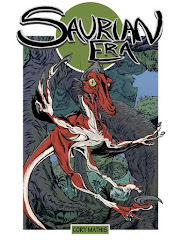 I want to make the best damn Saurian Era comic I can. So I wont be rushing it out. Im busy studying my anatomy and learning my digital painting. Ill be taking a sculpting and maquette making course next month thanks to the White Cloud Worlds Workshop being held here in Welly. The September Expo in Auckland is my aim for the next one to be done by. 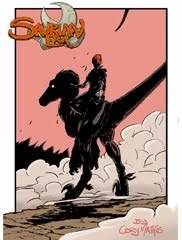 In the meantime, Ill be busting out some sweet pics to sell as prints this April. 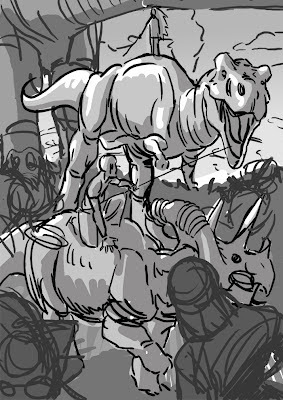 Here's a rough of the one I'm working on at the mo. Enjoyed meeting you at Armageddon. I'm looking forward to seeing what you produce next. Keep up the great work.